Diane Bochese - Sales Director, Eastern U.S.
As the Sales Director for the Eastern U.S., Diane's job is to provide our customers with outcomes-based solutions for CAD, PLM, and IoT, as well as to be a liaison with the technical team to ensure customer success. 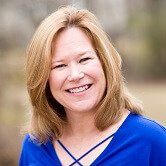 Prior to working for Zero Wait-State, Diane was an Account Manager for TriStar (PTC Reseller), covering Georgia and Alabama. She supported customers from initial sale of CAD, PDM, and/or PLM solution to training and consulting. Her goal was to understand corporate initiatives, as well as engineering and manufacturing processes, along with their business challenges, to optimize their software investments. Diane has almost 7 years in the manufacturing industry, including quality assurance and international sales departments. During her career, she has introduced ISO 9001 and educated more than 500 employees on the quality system. She worked on process improvement to identify, streamline, and document processes in every department.